We consider ourselves lucky for the opportunity to work with such wonderful clients, on such impactful projects each year. 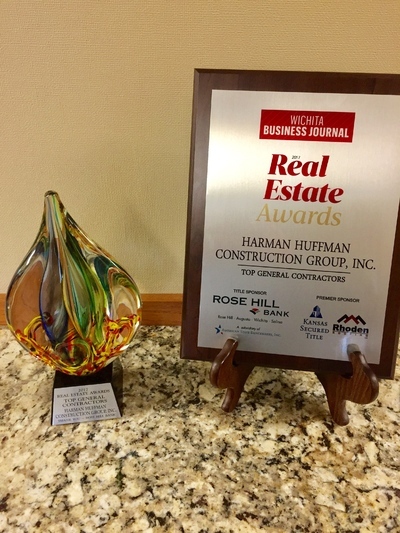 We truly share these awards with the entire community! 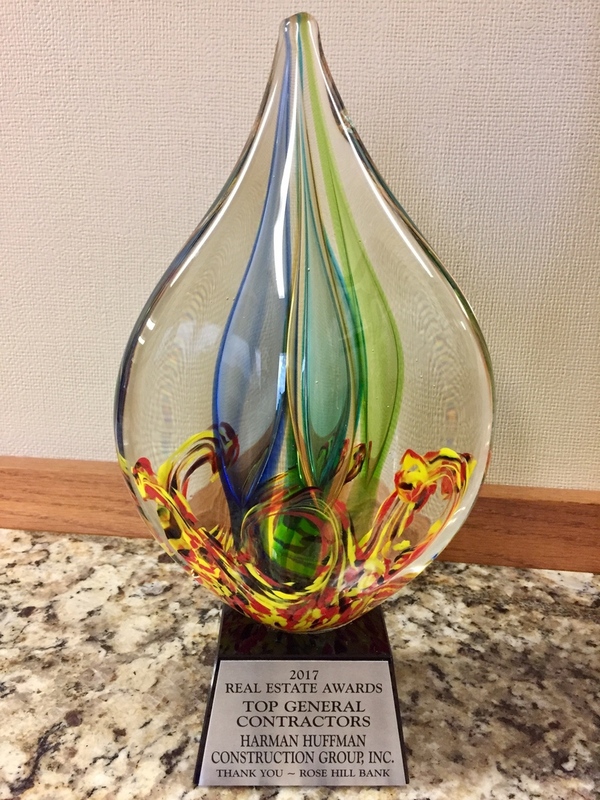 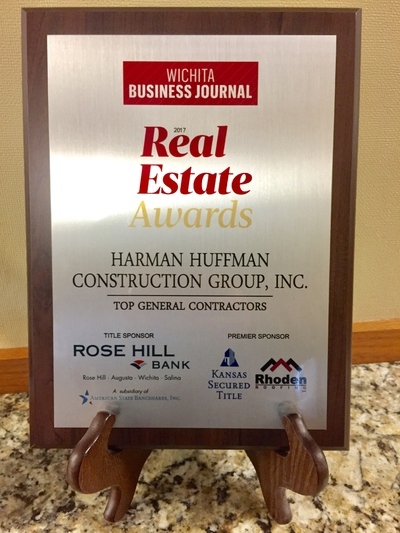 Harman Huffman Construction Group, Inc. was awarded the Wichita Business Journal’s Real Estate Award in 2017 acknowledging our work as a Top General Contractor.